It’s our Stake Temple Week this week. It seems to always be the busiest week, and this one was no exception. I had plans to spend time in the temple, but my calling as the Relief Society President got in the way. With a death in the ward, that meant a viewing on Tuesday, and a funeral on Wednesday. I didn’t have much to do with the viewing on Tuesday, except open up the church and make sure the flowers got there. On Wednesday, though, I spent almost the whole day at the church with set up, the funeral (I got to lead the music), and the luncheon. I came home and crashed for an hour and literally told the kids they could watch tv if they got their homework done, because I just needed a one hour nap before I went to bells rehearsal that night. Thursday I did manage to make it to the temple. I was there almost two hours doing initiatory. But I really wanted to take the kids to do baptisms. John just turned 12 and so we could ALL go. I called to make an appointment, and they had an appointment available for Friday night. No way! I scheduled us. But I said we would have family names to do, and I wasn’t sure if we actually would have family names. I knew Natalie knew how to find names, but she was gone to a debate tournament, so I had to try it for myself. Thanks to the hopechest program and lds.org family search, I was able to find family names! I found 8 women and 4 men (Natalie had already found 10 men, so we had 14). I was worried that I didn’t have enough names, but they were fine with it. On Friday, we had a scary situation when a dear friend and neighbor got lost in the canyon Thursday night and stayed up there all night. Friday was a day of lots of prayer until we found that she had been discovered, and that she was fine. She had just gotten lost, and when it got dark, she just stayed put. She had her dog with her, but couldn’t get cell service. Her husband and the authorities looked for her that night when she didn’t come home, and they found her car, but finally had to stop looking. They were looking again in the morning. Another couple of hikers found her and she was able to call her husband and they brought her home. Big sigh of relief. You can read the story here. Friday night, it was only Jenna and John who were able to come to the temple with us, but it was such a great experience. Ryan got to baptize us (and a young man from another family). They let me do baptisms, too. I haven’t done that in 20 years, and it was really wonderful. Especially to have Ryan there with me. I loved it. I can’t wait to go again with all the kids. 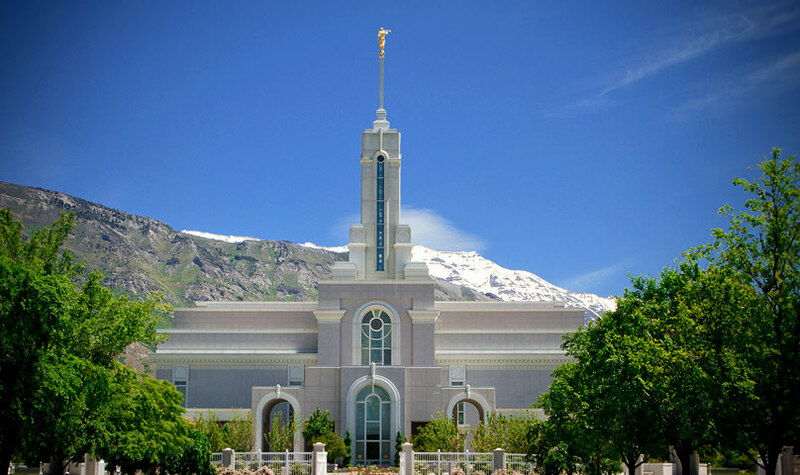 So, even though I didn’t get to spend as much time in the temple as I had originally planned, I did actually go twice this week, and got my family to go. Big success! The funny thing, though, was afterward. Jenna said that after a temple trip, the youth usually got ice cream or shakes or something, and even though I’m trying to do a healthy challenge, I agreed. We have to make going to the temple fun (for all of us). I texted Natalie and asked if she was home yet. While waiting for her reply, we decided we would go to arctic circle for shakes. Natalie was done with the debate thing, but she and her friend Maggie had gone to Arctic Circle. As we were pulling up to the drive through, Jenna said, “I just saw Cole go in!” What? Cole and his date had gone to play laser tag or something, and I guess they went to eat afterward. As we pulled around, we could indeed see Natalie and her friend inside, and Cole and his date up to the counter to order. SO FUNNY! It was like a family night at Arctic Circle (and we seriously never go there!). I had to text both Cole and Natalie and let them know that we weren’t stalking them, but we were right outside! I’m going to count it as a successful week! This is my fourth year of teaching chime choir at Highland Elementary. It’s been a rough road, but we did manage to get a choir together, and each year it seems to grow a little bit. This is one of my groups at their spring concert last year. I love handbells and love teaching music. I wish I could do it MORE. I tried this year to get a group going at a local charter school where they have up to 9th grade, but I didn’t do a good enough job of sharing my vision, and I only had one student sign up. Rather than thinking of myself as a failure, I’m going to consider that a tender mercy. Now I don’t have to haul chimes back and forth from one school to the next, and I can really enjoy my work with my elementary school kids. Yes, it would be really nice to teach an older group, but perhaps now, with all my church duties, wasn’t the best time to start that. This is how they look when we practice. We set up quilts on the tables, the chimes on top of the quilts. Because kids at this school have two different start times, I have one choir that comes at 7 am, and one that comes at 8. Strangely enough, the 7:00 kids are there early, excited to see if they can set up the chimes before I get there. Really. The 8:00 kids come late, wandering in between 5-10 after 8. And my early group has 14 kids, while the later group is struggling at only 7 (which is really not enough to play all the notes, but we’ll make it work). I try to make it fun, and today we talked about how playing chimes WAKES UP your brain. How you are using your hands, arms, eyes, ears, fingers, and brain ALL at the same time, and your brain has to WAKE up and get energized and if you wake up your brain by playing music in the morning, you will be SMARTER, and your brain will be more awake all day. No, they did not ask for scientific evidence, which is a good thing, cause I don’t have any. One little girl, who is new, and who was 20 minutes late today, said, “Can’t we keep playing? There’s 15 minutes until school starts, we could just play more.” I told her she lost those 15 minutes by being late and she should be on time next time (rude, aren’t I?). As she packed up her backpack, she said, “I wish we had chime choir EVERY day.” Ooohhh. THAT is why I do it. That is my paycheck. That is why I drag myself to the school by 7 twice a week.